Ohio rock band DANGERKIDS will make their return in 2017 with a brand new album, Blacklist_, that will be released on January 27th via the new label Paid Vacation. Starting today, fans who pre-order the album at iTunes will receive instant downloads of the new songs “Things Could Be Different” and “Blacklist_”. The band recently debuted the song “Things Could Be Different”, and now have premiered the title track “Blacklist_”, which can be streamed now below. The new songs give fans a preview of the band’s massive sound they’re bringing on their new record. 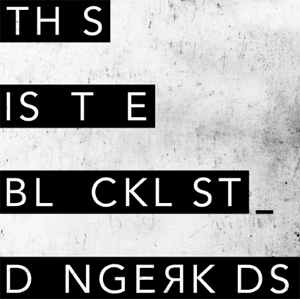 Speaking about the new album, vocalist Tyler Smyth says, “Blacklist_ is significant to us for a lot of reasons, but mostly because it marks a new beginning for DANGERKIDS. It's dark and it's pissed off, but most importantly, it's us deciding to not follow so many of the rules that held us down the first time around. We’re a band that’s been pulled around a lot of different ways and been told what to do by a lot of different people, but we've decided that that ends now. If anything, Blacklist_ is us finally becoming ourselves." DANGERKIDS will be hitting the road with FALLING IN REVERSE, ISSUES and MOTIONLESS IN WHITE for “The End Is Here Tour” in January in support of the new album. Tickets are on sale now at http://theendisheretour.com/. 1.19 - Dallas, TX - Gas Monkey Live!